The Minneapolis VA Electrophysiology labs were referred to CIS by the Director of Abbott Northwestern Heart Hospital’s EP Lab, Dr. Daniel Melby. Clear Image Scientific’s Grant Samuelsen visited the VA with a complete system of CIS units and shielded power cords. After meeting with the principal bio-med team, the CIS units and power cords were installed. 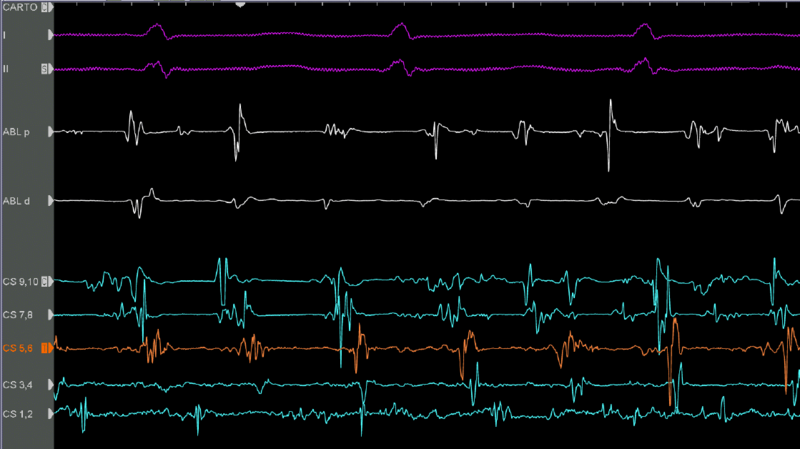 The VA’s team and doctors measured noise levels within their electrophysiology lab both before and during a procedure. The captured images on display below describe in explicit detail the profound benefits offered by CIS technology when compared to standard forms of power conditioning or noise isolation provided by isolation transformers. No filters: Start of case, a little noise on II and III. 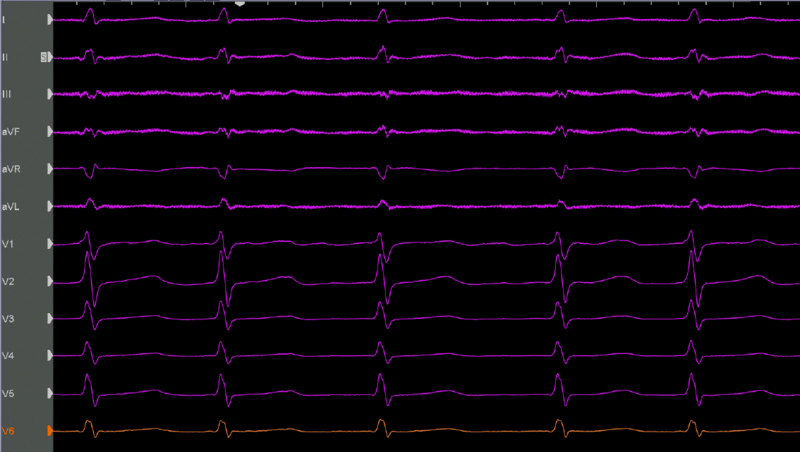 No filters: After intubation, noise on multiple ecg leads. 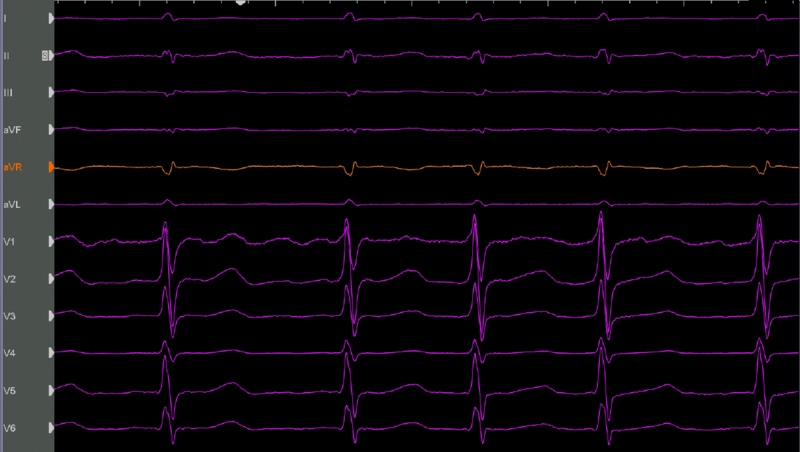 Added filters: Noise better but not gone on ecg. Lots of 60hz noise on ABL d.
Some baseline noise on all CS tracings. ECG II,III have 180 hz noise. No 60hz noise on ABL d.
Baseline noise on CS tracings gone. ECG II,III still have 180 hz noise, but much better. 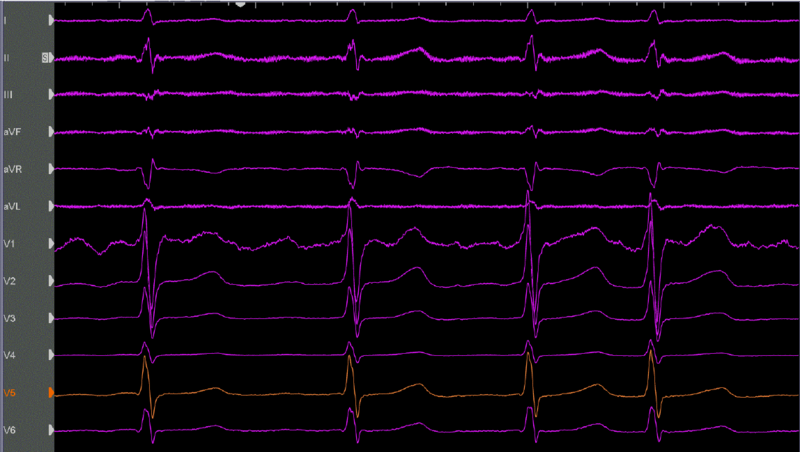 You will note on the second to last screen capture, there is a great deal of activity on the ABL d trace. As mentioned by the physician in the caption, this represents a massive amount of 60Hz noise. As well, the CS traces below the ABL d trace also show significant noise distortion of the signals. These signals represent their baseline prior to the application of the CIS power distributor and power cords. 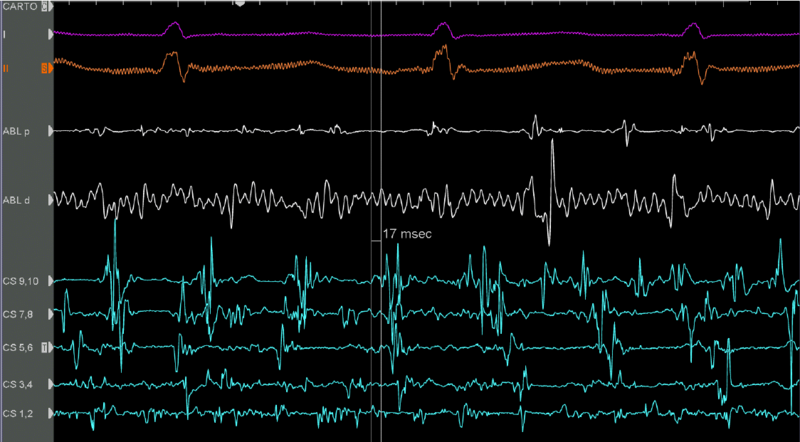 The final screen capture shows the complete absence of noise level on ABL d and the CS signals after the application of the CIS noise-cancelling system. This was referred to as a revelation by members of the VA Hospital Team, who were quick to ask about the purchase and application of CIS products within their EP labs.